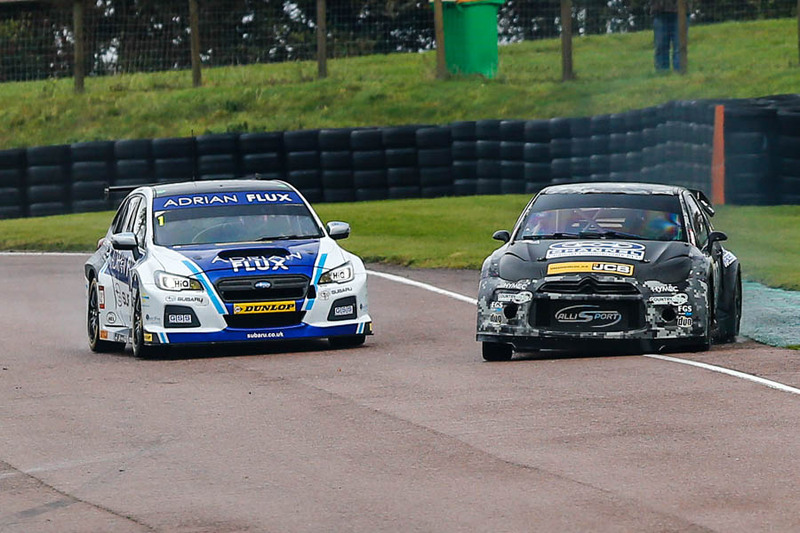 BRX V BTCC battle of the champions. “Do you want to come to Lydden and shoot a feature for us? Its on a head to head of the British Rallycross Champion against the British Touring Car Champion” There was more of a conversation, but I was already sold! This isn’t really about what happened, rather a few of my personal favorite frames. 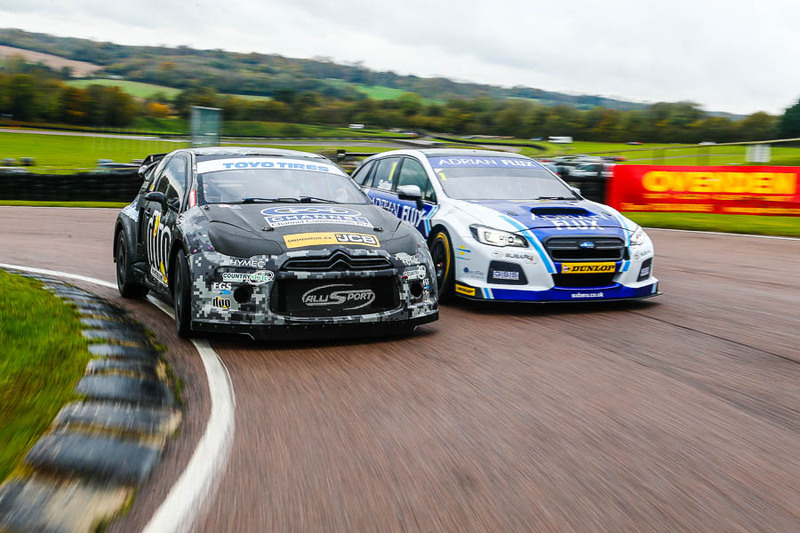 MSA British Rallycross champion Nathan Heathcote and MSA British Touring Car Champion Ash Sutton go head to head at Lydden Hill Circuit in Kent. So off to a rainy and grey Lydden Hill I went. The brief itself was fairly straight forward. A few in car frames, some ‘action’ ones, tracking shots and a setup promo type shot. Nathan I already knew from rallycross. Ash was just as laid back! MSA British Rallycross champion Nathan Heathcote. The champions. 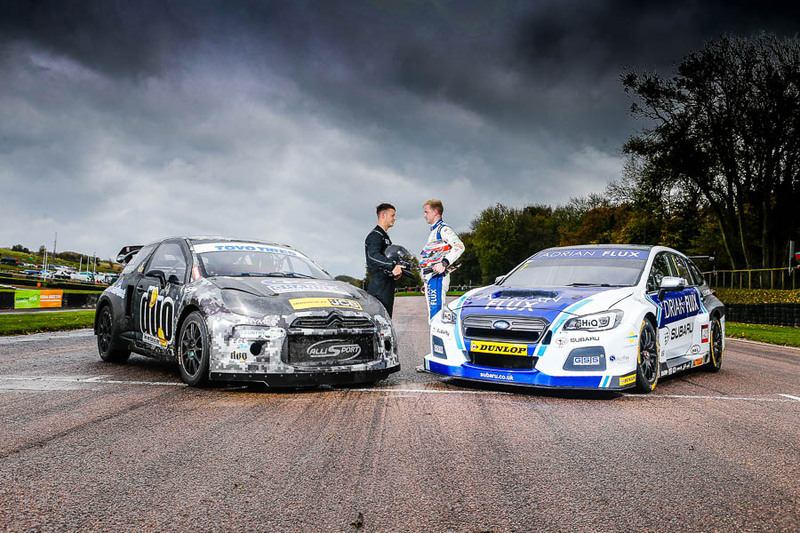 MSA British Rallycross champion Nathan Heathcote and MSA British Touring Car Champion Ash Sutton go head to head at Lydden Hill Circuit in Kent. Ash Sutton’s Subaru is one awesome machine. The tracking shots were great and by and large both drivers followed my direction as I hung out the back of the lead car. However, racing drivers always want to race. Take it easy round the hairpin guys, erm yeah right! There is a really nice article that Hal Ridge wrote that was published in the MSA magazines winter 2017 edition. It starts on page 46. Posted in Motorsport, RallycrossTagged Ash Sutton, British Rallycross Championship, BRX, BTCC, featured, lydden hill, MSA, Nathan HeathcoteBookmark the permalink. BRX 2017 Pembrey Double Header – Return to Pembrey for both ways Action!